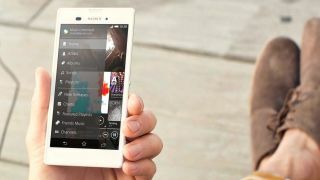 The Sony Xperia T3 was announced at the beginning of June, offering up a big screen and 4G speeds for a mid-range price tag. We now have more details on the price tag as Carphone Warehouse has announced it will be stocking the Xperia T3 exclusively (and if you pre-order it'll chuck in a free Sony Smartband). You'll be able to pick the handset up for free on 24 month contracts starting at £21, with the Sony Xperia T3 release date pegged for July 24. The Xperia T3 sports a 5.3-inch 1280 x 720 display, 1.4GHz quad-core processor, 1GB of RAM, 8MP rear camera, 1.1MP front snapper, Android 4.4 KitKat and a 2500mAh battery. In terms of connectivity Wi-Fi and Bluetooth are joined by 4G, NFC and a microSD slot to expand on the 8GB of internal storage. The closest competitor to the Xperia T3 is the HTC Desire 816 which sports a similar price tag on contract, a slight larger display, higher res cameras and a touch more power.